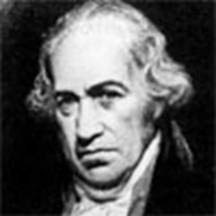 Daniel Gabriel Fahrenheit was born May 24, 1686 was a German physicist. Fahrenheit was born in Danzig, Poland, as the eldest of five children. His father was a merchant who took his family moved to live several Hanseatic cities in Europe to pursue wealth. Both parents Fahrenheit died suddenly from eating poisonous mushrooms when he was 16 years old. Since then, he left his studies and work at a trading company in Amsterdam. In his spare time, keep experimenting Fahrenheit. Her work brought Fahrenheit around Europe and meet with leading academic figures such as Gottfried Leibenz and Christian Wolff. In 1718, he quit his job and teaching in Amsterdam. He found the first scheme in 1724 Fahrenheit. in 1720, after conducting various studies. He found that unemployment mercury in the manufacture of tools will ensure the accuracy of the temperature measurement. Degree temperatures used in the thermometer is then given the name "Fahrenheit", as the name of his invention. Fahrenheit died in 1736. There is some debate as to how the Fahrenheit temperature scale thinking. Some claimed that free specify zero Fahrenheit (0 degrees Fahrenheit) and 100 degrees F on a temperature scale by recording the lowest temperature outside and the temperature can be measured badanya own. Lowest Temperature outside he made zero point measured during the winter of 1708 by the year 1709 in his hometown of Gdansk (Danzig) (-17.8 degrees Celsius). Fahrenheit wanted to avoid negative temperature which often indicates the scale of Ole Ramer negative temperature in everyday use. Fahrenheit, decided that the body temperature of 100 degrees F. dalah Normal body temperature is 98.6 degrees F approach, meaning Fahrenheit when it was a fever when the experimenter or inaccurate thermometer. There is also a state that determines zero Fahrenheit (0 degrees F) at which temperature scale as an equal mixture of ice and salt melt temperature of 96 degrees as his blood (he was originally using horse blood to indicate scale). The scale consists of 12 divisions, but then he divides each division into 8 equal subdivisions, and produces a rich scale of 96 degrees. He found that the water (without any mix) will freeze at 32 degrees and boils at 212 degrees. The third opinion is the best known story, as depicted on the popular television series The Mechanical Universe physics. Serial states that adopt Fahrenheit scale Ramer which water freezes at a temperature of 7.5 degrees and multiplying each value by 4 to mengeliminsai pacahan and improving the granularity of the scale (yielding 30 and 240 degrees). Later, he returned to determine the scale of the freezing point of water and normal human body temperature (96 degrees he took), the freezing point of water is determined 32 º so that there are 64 intervals will be split in two so he can mark degree lines on his instrument with the two halves the interval times. Measurement is not entirely accurate. Using a scale initially, freezing point and boiling point of water will vary with sebernarnya 32 degrees F and 212 degrees F.
Some time after the death of Fahrenheit, it was decided to re-signify scaled to 32 º F and 212 degrees F as the freezing and boiling points of pure water right. These changes facilitate the conversion from Celsius to Fahrenheit and vice versa by using a simple formula. This change also explains why the body temperature once set 96 or 100 degrees F to 98.6 degrees Fahrenheit F now specified by many, although a 98 degrees F would be more accurate. The fourth tale is a story that is not so well known about the origins of the Fahrenheit scale. Told that the scale is determined Fahrenheit himself a member of Freemasonry fraternal organization. In organizations stretcher, there are 32 levels of illumination, 32 being the highest. The use of the word degree (degree or level) alone is said to be taken from the levels in the organization. It may suat coincidence, but there is no evidence to show the truth of it. The fifth version tells that determines 0 degrees Fahrenheit by freezing temperatures people will die due to the cold temperatures of 100 degrees is people will die because of the heat. For that reason, 0 to 100 show about humans live. Meanwhile, the sixth version relates that marks Fahrenheit freezing point of water, the normal temperature of the human body, and the boiling point of water. He then divides the range between the freezing point and boiling point of water to 180 degrees. Set the normal human body temperature as 100 degrees to make FP and BP to 32 and 212 respectively. Daniel Gabriel Fahrenheit died 16 September 1736 at age 50.